I'm starting to feel a little Valentinesy, if that's a real word, so I thought I might post a few Valentine's themed recipes over the next few weeks. 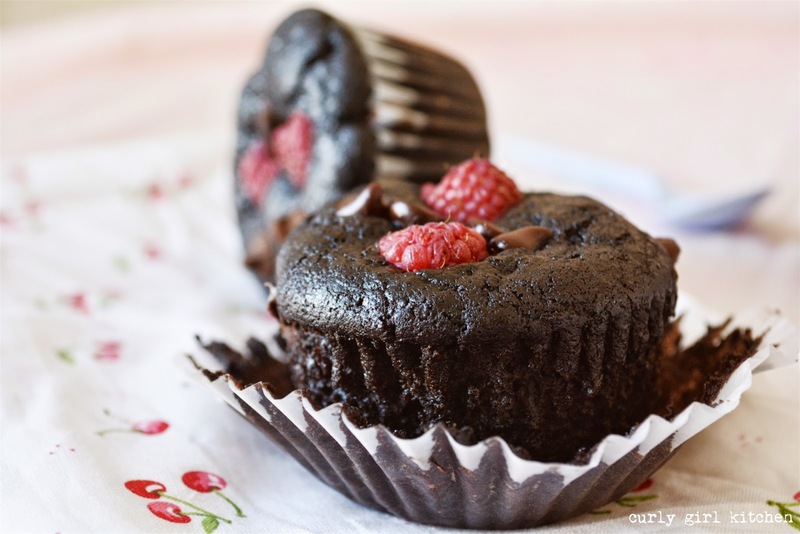 These dark chocolate muffins topped with chocolate chips and fresh raspberries combine the colors and flavors that are so ubiquitous with Valentine's Day, and I think they're quite romantic looking. 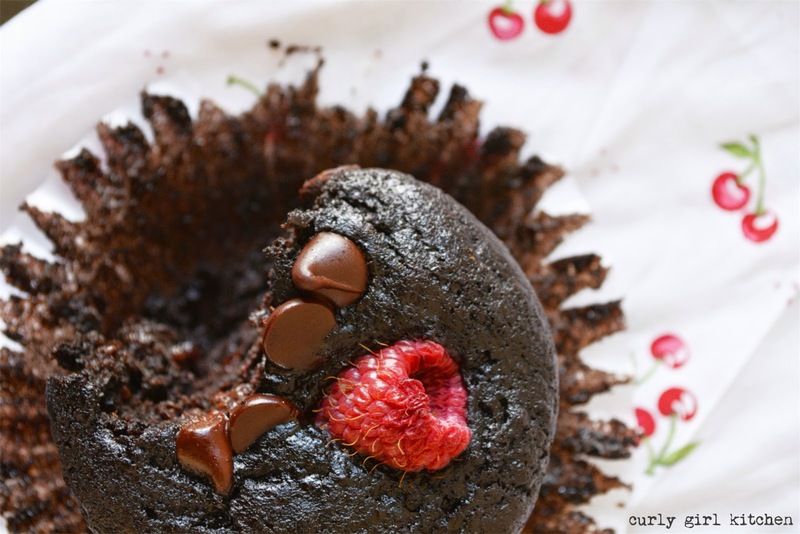 As the muffins bake, the bright red berries sink slightly into the puffed centers, becoming warm and juicy. Raspberry jalapeno jam inside each muffin adds a subtle hint of spice that's surprisingly pleasant. Any jam would do, though, and a sweet seedless raspberry jam inside would be perfectly delightful. I baked these for a friend who was just recovering from a surgery, but wouldn't they be lovely for breakfast in bed for your sweetheart? 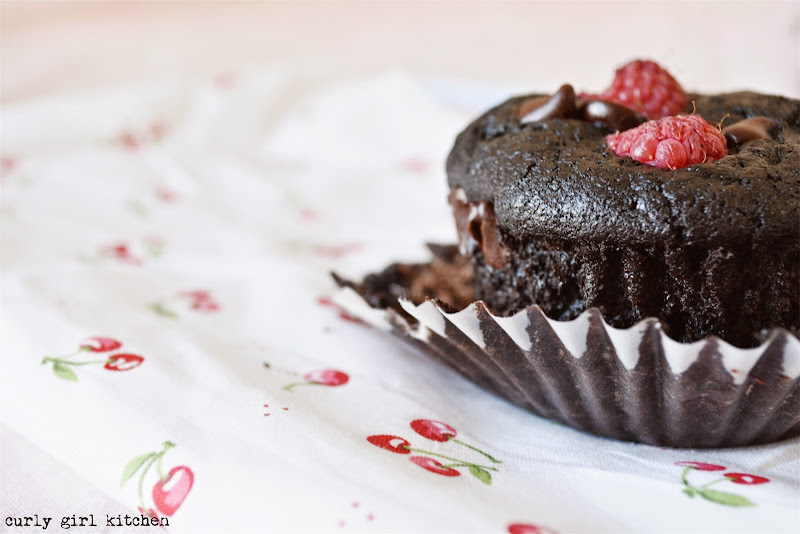 And I'll admit, it's a little bit like getting to eat a cupcake for breakfast. Which I think is actually quite appropriate for Valentine's Day. 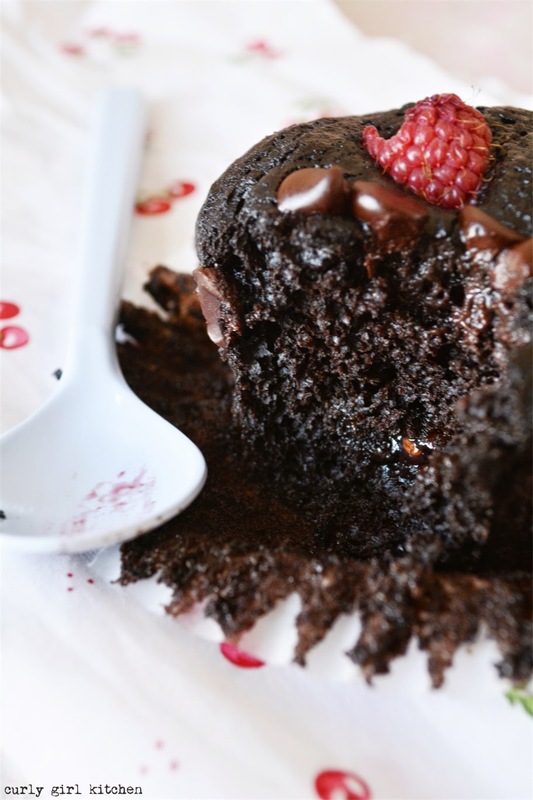 In a bowl, combine the flour, sugar, cocoa powder, salt and baking soda. Add the eggs, sour cream, oil, milk and vanilla and mix just until combined. Spoon half the batter into the paper liners. Add a couple teaspoons of jam on top of the batter, then spoon the rest of the batter over the jam. 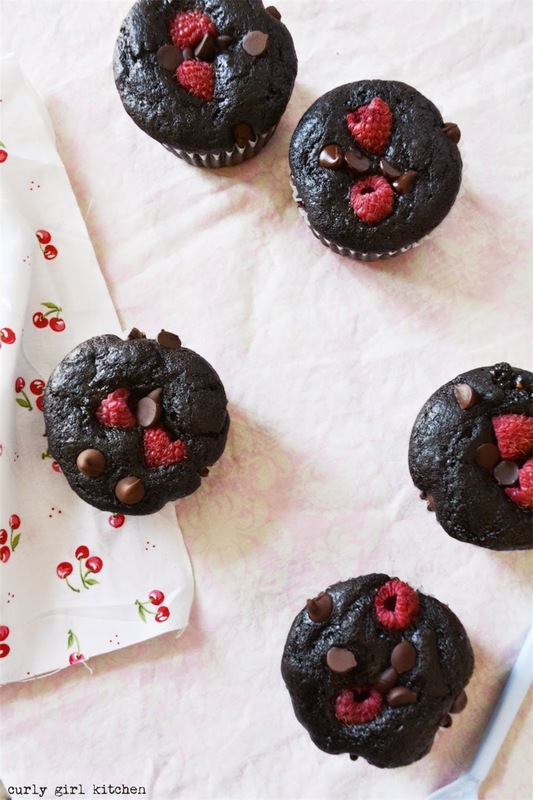 Sprinkle the tops of the muffins with chocolate chips and raspberries. Bake for about 15-18 minutes, or until a toothpick comes out clean. Serve warm.